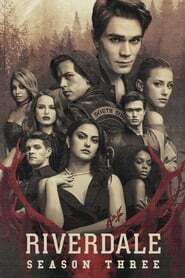 After one of their own becomes the target of an unseen assailant, the gang works together to get to the bottom of Riverdale’s latest mystery. Meanwhile, Betty works with a surprising ally to piece together clues about a series of deaths in the town. Elsewhere, a spiraling Archie sets out on a new path, while Jughead comes face to face with Ms. Mulwray, Hiram’s alleged mistress.